Costing isn’t just how much you pay for an item and then what you sell it for. It is also a reflection of how well your operations are run. Costs are part of a larger equation that values organization, mindfulness, and consistency. Even if you buy inventory at a low price, and sell menu items at a strong markup, you can still run a high food, pour, and/or prime cost. 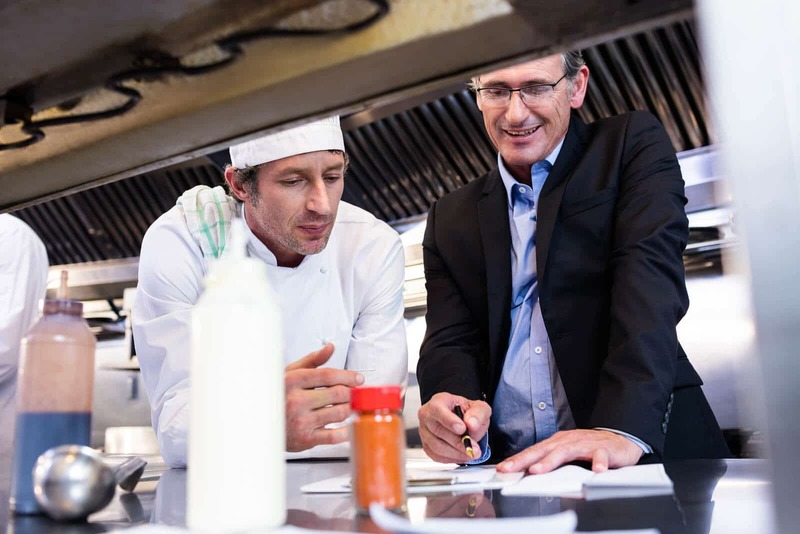 Common culprits are forecasting food costs based on case weight and not post-prep sellable weight, allowing enough oversight that staff takes advantage of products at your expense, and letting an inefficient and disorganized storage and inventory management process that leads to double-ordering product that eventually spoils. Let’s work to find end-to-end solutions for costing, beginning with negotiations with vendors, and ending with calculating serving sizes. This whole process starts with price negotiation, which is where one major misconception exists: I’m going to work them down to the lowest per case cost. Often when we refer to the cost of an item, what we really mean is the price of the item, the dollar value we had to pay to acquire it. But just because the case price is lower, or I paid the lowest dollar amount, doesn’t mean it’s the lowest cost. Cost is how many dollars you paid for each unit within the case, breaking the cost of each case down to the ounce, each, gram, or pound cost, and then comparing apples to apples. Additionally, cost takes into account the amount of labor that is needed to prep and prepare the item, how much storage space it takes up, and its shelf life. Understanding the true cost is critical when pricing the item so that every variable between the receiving dock and the plate is taken into account. This will help guide the markup or margin you’ll need for each item to make producing it worth your time. While quality might not always have a direct correlation on food cost, consistently opting for the cheap option will have its downsides. By ordering the cheapest, low quality, canned, processed foods, there is nothing special to distinguish your restaurant from any of the millions of others who buy those same economy products. When you don’t have a full dining room, it will be more difficult to push a high volume of product. And high volume is definitely something that will decrease your costs both from an operations standpoint, driving down money spent on labor to produce the item, and in terms of vendor negotiations, in which you have more power to argue for a lower price with the manufacturer and distributor if you have the high numbers to back you up. The greater the volume per delivery will always open the door to negotiating a lower price, so consider buying in bulk, having a large customer demand for a certain product, or receiving fewer deliveries and storing the excess. Fear is also great motivator, but only if it is used gently and sparingly. Threatening to take your high-volume case demand to a vendor’s competitor can often be a good reason for them to give up some margin and lower prices. Having said that, when negotiating, I have found I can catch more flies with honey. Yes, I also have found being firm, demanding and not afraid to walk away are also strong negotiating tools, but fear and threats can only take you so far and only last for so long. 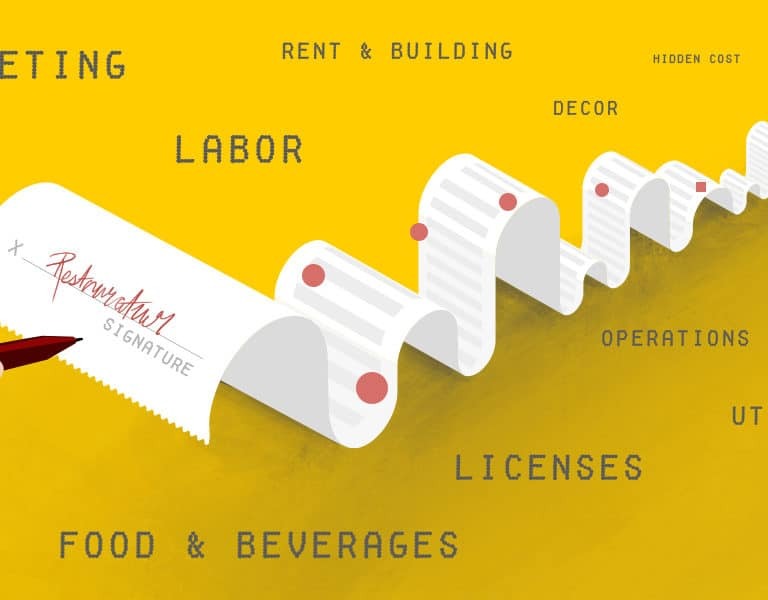 Longterm, you want to be a good partner with a positive relationship with purveyors so that they always want to bring you the best promotions, pricing and marketing dollars. You need to maintain the dominant position, but also take time to build a relationship and do what you can to help them and push their specials or products. Specials from purveyors can be a great way to lower food cost by getting limited-time pricing on key items, or by getting an extra bump in margin reduction by buying certain items in bulk. Most importantly, when trying to build good relationships with vendors, always remember to pay on time. You wouldn’t use pallets as a door to your walk-in. You could get the best price on the cooler and installation, but any value would be negated by all of the cold air drifting right out the door. The same goes for your inventory. Food can account for 35% of expenses. Find out if you're spending too much with our Food Cost Calculator. Not having comprehensive inventory management and organization will kill any gains you’ve made on the price negotiation front. Your negotiation skills or low purchase price mean nothing if you’re not keeping tabs on your products with tight systems for inventory, storage, stocking and use. One good check and balance system is shelf-to-sheet, meaning your inventory/ordering sheet (digital or print) matches the order of the items stored on the shelf. This way you’re not searching around for the product, and if something is missing or out of place, it becomes glaring and easy to find and fix these issues. Want to get started? 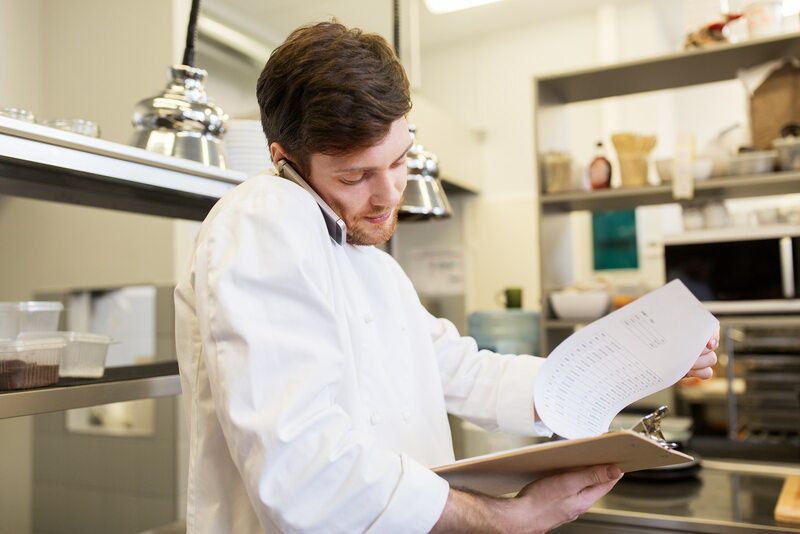 Check out our Restaurant Inventory Management Guide. 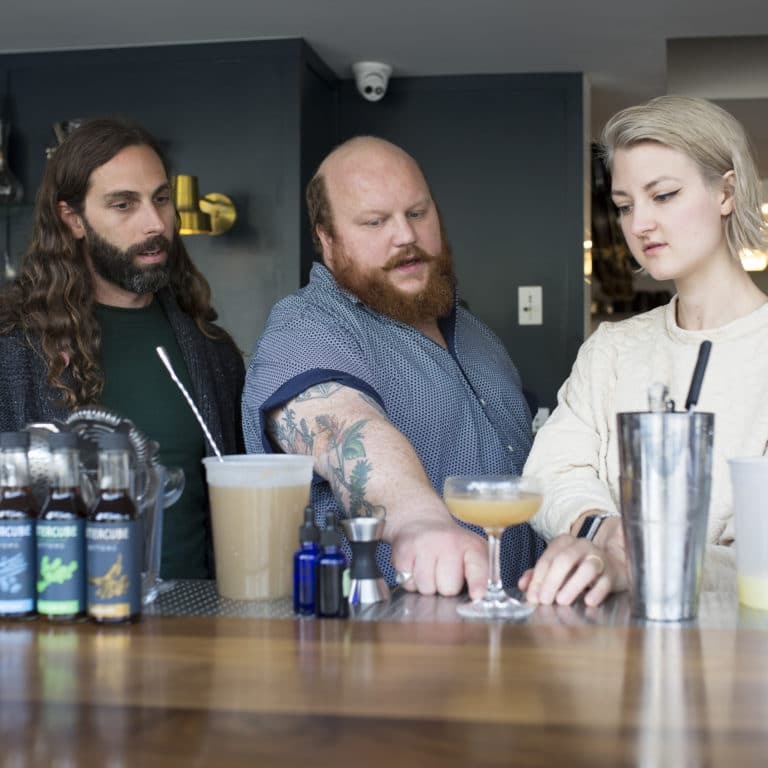 In North Carolina, owners of full-service Cuban restaurant COPA organize their Upserve Inventory system by physical location, meaning they can take inventory at the bar before moving onto the pantry, instead of running back and forth between the two. It is also critically important that you are consistent in your organization. Label everything with both the item name and its par level, and denote the exact prescribed shelf location for the item. Overdo it. Make sure no matter how dense the new guy is, nothing will fall out of its place. Have a flowchart that dictates the standard operating procedures for receiving inventory, backstock location, service stock/station location and pars. Double check this daily for compliance. 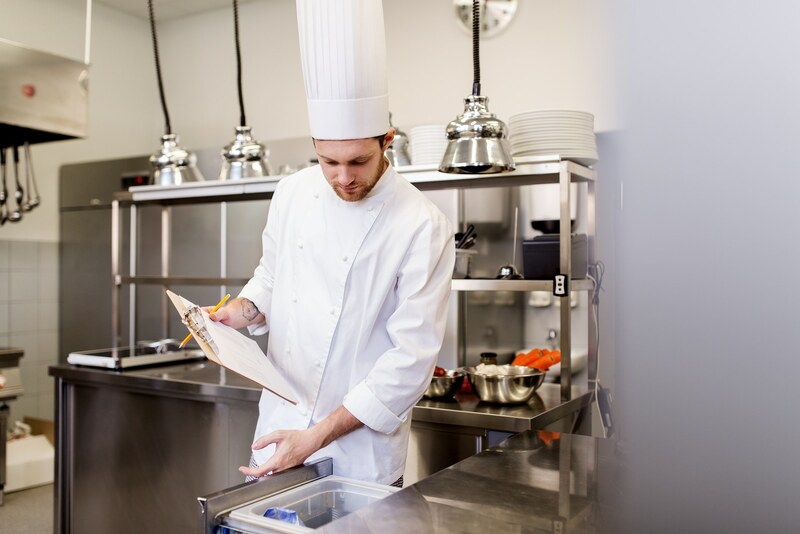 Know each of your ingredient costs, item costs, plate costs, and food costs. Update them regularly, and when changes occur. Use the overall food cost to see the whole picture so you’re able to drill down to every aspect of each item. Plate and price only what makes sense and makes money. Prime costs are another great barometer and frequently used formula that will always alert an owner to whether any food, pour, or labor costs are off. Keep this number under 60 percent for optimal health. Waste and spoilage can be huge cost killers. Make sure you’re using every piece of every item you bring in, finding creative dishes or specials that use trimmings and scraps. Buying portion cuts instead of primals are a great way to keep costing and inventory simple and easy, too. Portion cuts will sell at a higher per ounce cost, so you’ll need to run out the cost out the actual sellable weight and prep dollars used, plus add in any spoilage or irregularities in inventory (if applicable), to cost where the actual best value actually lies. Consistent portions sizes are a must, as well as serving portions that make sense. 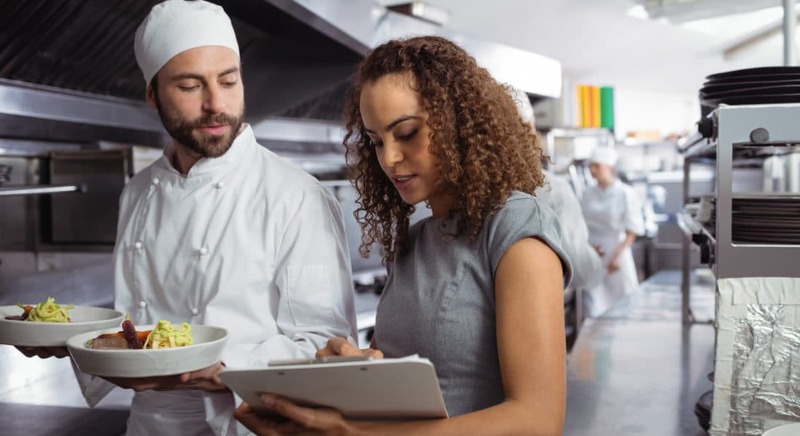 If you see too many guests packing up doggy bags, or notice a lot of food getting scraped off plates in the dish pit, it’s time to make changes. That’s your margin walking out the door. Plus, if guests are enjoying the second half of their meal the next night at home, you lose out the next day on that guest returning to the pool of potential diners. Smart forecasting is also an important part of keeping costs low. Having a consistent serving size not only builds consistency and manages expectations of the guest, but it allows prepped and par-cooked items to be forecasted and queued without fear of waste or needing to batch more. For all of this to be effective, this needs to be a part of your daily routine. Always check your gauges and apply a consistent amount of pressure every day to enforcing and maintain the systems. Have tight checklists and closeout procedures. Double check each night’s closing accounting, and audit the tickets. 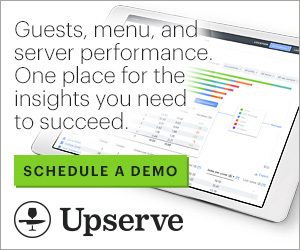 Dissect your flash reports each week and your detailed profit and loss spreadsheets each month. Stay engaged and focus, knowing your numbers and where to find them. Do this consistently and there should always be profit left over for you. Use our food cost calculator for a personalized recommendation! Ryan Ransom, quick to smile and offer an amuse bouche, is a restauranteur and consultant from Los Angeles, CA. Sharpening his teeth on the front lines, Ryan developed a practical, hands-on, and empathetic approach to hospitality. This attitude allowed for Ryan's repeat success operating many large and well-known restaurants in Southern California. 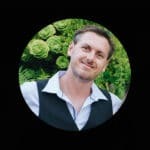 Currently, with Ryse Hospitality, Ryan consults and partners on many ongoing hospitality projects along the West Coast, as well as, creating hospitality content, training material, and runs a popular hospitality support and advice group/forum found at ryseabove.com.